1. Custom one-piece bracket design. 2. UL listed for proven strength. 3. Seismic rated for safer installations. 4. Sturdy steel construction. Wall mount uses more surface area for balance and stability. 6. Offers quick installation and quick release. 7. Display installs in landscape view only. 9. Multiple accessories provide solutions for even the most difficult installation. 10. Compatible with locking flag accessories (PAC130, PAC135). 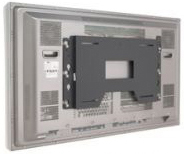 The PSM is the ultimate custom fixed wall mount solution for flat panel TVs, plasma and LCDs. The PSM is an ultra low profile solution that provides key features and functionality. Unique, one-piece custom bracket that cuts installation time and provides the slimmest fit possible. Seismic rated for safer installation. See Model PSMH for screens weighing more than 175 lbs (79.5 kg). Q: Why choose the PSM? A: The PSM has the lowest profile possible, a simple one piece design that saves time during installation, and seismic ratings that guarantee strength and safety. If these features aren't enough, it is also the lowest cost basic wall mount on the market. Q: Do I need to order a separate interface bracket? A: No. The PSM maintains a highly economical price and low-profile depth through a one-piece design. Q: Does the PSM allow the screen to be viewed in portrait mode? A: No, the design allows for the Flat Panel Display to be mounted in landscape view only. For mounting in portrait view, refer to page 29 for the PST. Q: How does the lateral shift accessory work? A: The PAC125 accessory will allow spanning a 24" on-center stud system or provide 4" lateral shift on either side of 16" on-center studs. 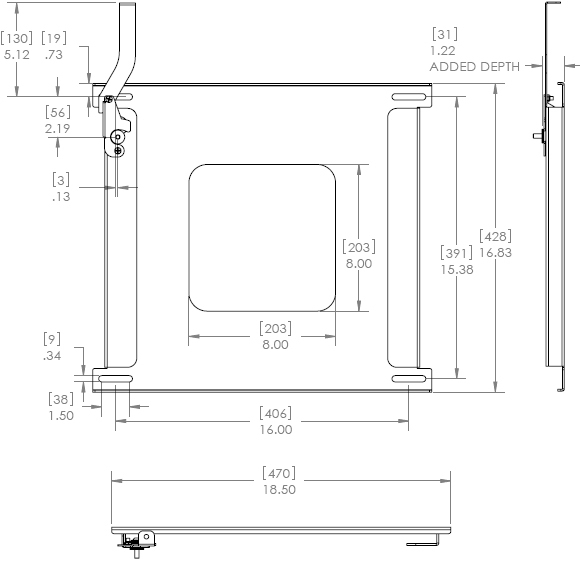 Q: Can I lock my Large Flat Panel Display to the mount? A: Yes, Chief’s exclusive Q-Latch™ Mounting System engages the latch around the Q-button for a positive connection, preventing accidental dislodging of the display. When theft is a concern, Chief offers additional PAC130 and PAC135 locking flag accessories, allowing the display to be securely padlocked to the mount.